PLASequip, experienced representative of plastic processing equipment in Portugal cooperates since November 2018 with BMSvision, Belgian expert in Manufacturing Execution Systems to bring the best MES systems to the plastics industry of Portugal. PLASequip was established end 1998 and represents following brands: Motan, Colortronic, Getecha, Hamos, GWK, Pelletron, Alsace, Aboni and now also BMSvision. PLASequip provides specialized technical assistance throughout Portugal to the equipment represented or sold by the company. With over 40 years of experience, BMSvision is a leading global supplier of Industry 4.0 MES systems, with focus on the plastics and textiles industry. A group of highly skilled R&D experts develops hardware and software solutions that help customers optimize their operations. A team of project managers and field engineers install and service the solutions on a global scale. Today, leading companies all over the world rely on the BMSvision MES Systems for the daily management of their operations. During many years BMSvision has built its expertise learning from a large installed base and enables its customers to use MES integrated with ERP, accomplishing the new demands of Industry 4.0 and the Smart Factory. 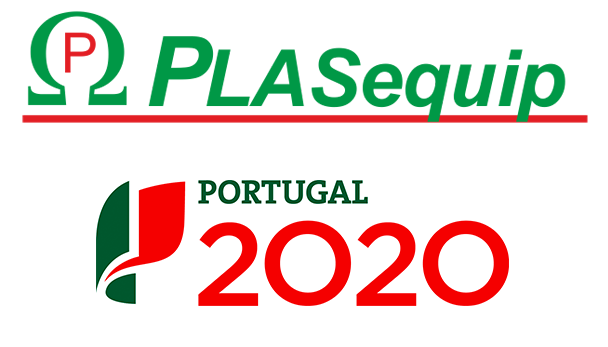 With PLASequip and BMSvision, your company is Industry 4.0 ready to meet the Portugal 2020 objectives. Under the name PlantMaster, a very powerful monitoring system is available. The QMaster module keeps your process within the specifications required for optimum product quality and generates the documentation your customers demand for their quality assurance programs. EnergyMaster is the real time energy monitoring system. Following the principle of Monitoring & Targeting (M&T), it maps the different energy consumptions for further analysis and optimization. BMSvision products will be presented by PLASequip at the Moldplás industrial exhibition from 6 till 9 November 2019 in Batalha, Portugal.